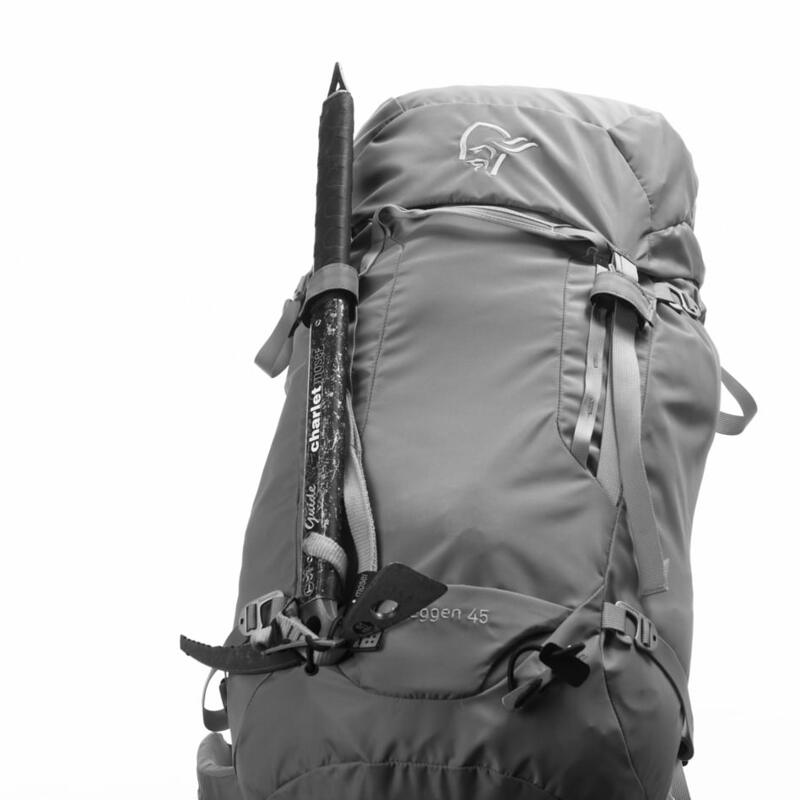 trollveggen 45L Pack (M) is rated 4.7 out of 5 by 15. Notre sac à dos d’alpinisme le plus résistant pour homme, conçu pour les randonnées sur un terrain vertical Ce sac vous apporte confort et stabilité, même lorsque vous portez des charges lourdes. Vous pouvez également retirer la plaque arrière, la partie en aluminium, la ceinture de hanches, ainsi que le dessus pour plus de légèreté. Fermeture Éclair frontale pour accéder au compartiment principal, poche avant séparée, partie supérieure amovible avec poche extérieure et intérieure, 2 attaches pour piolets, 2 sangles de compression sur chaque côté, sangles « pont » et poche d’hydratation. 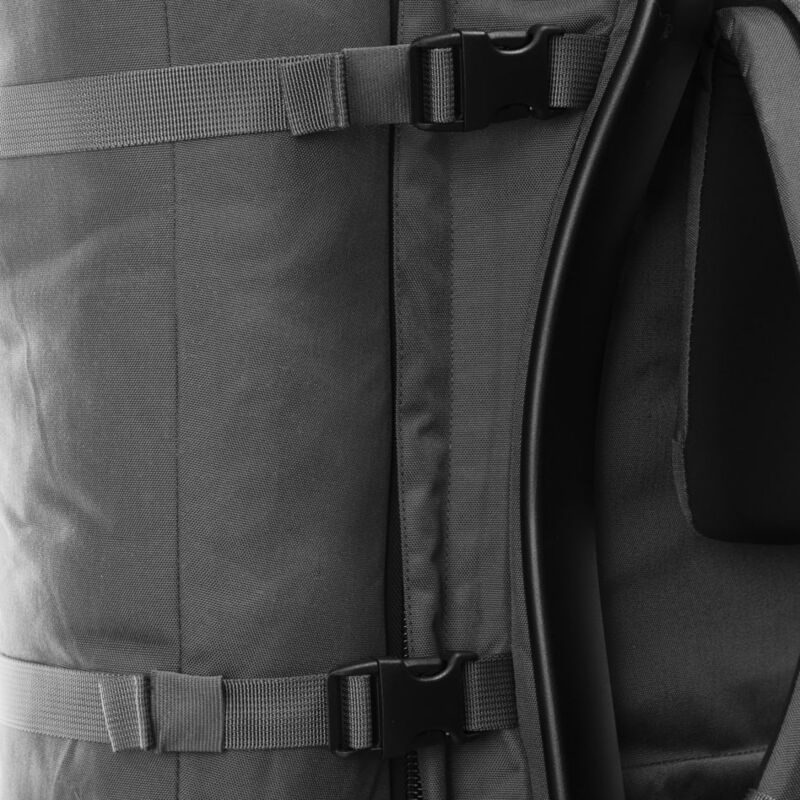 dynamic™ : notre sac sans cadre ni barre de soutien en aluminium. Nous utilisons ces systèmes sur un grand nombre de nos petits sacs où la souplesse est un facteur essentiel. Rated 5 out of 5 by Sovica from Excellent backpack for winter activities I have it for 2 months now and use it mainly for winter mountaineering. At the first glance this backpack is nothing special but it can surprise you. It is quite enormous backpack - I packed all of my clothes with accessories for a winter hike in it and there was still a lot of space to fill. 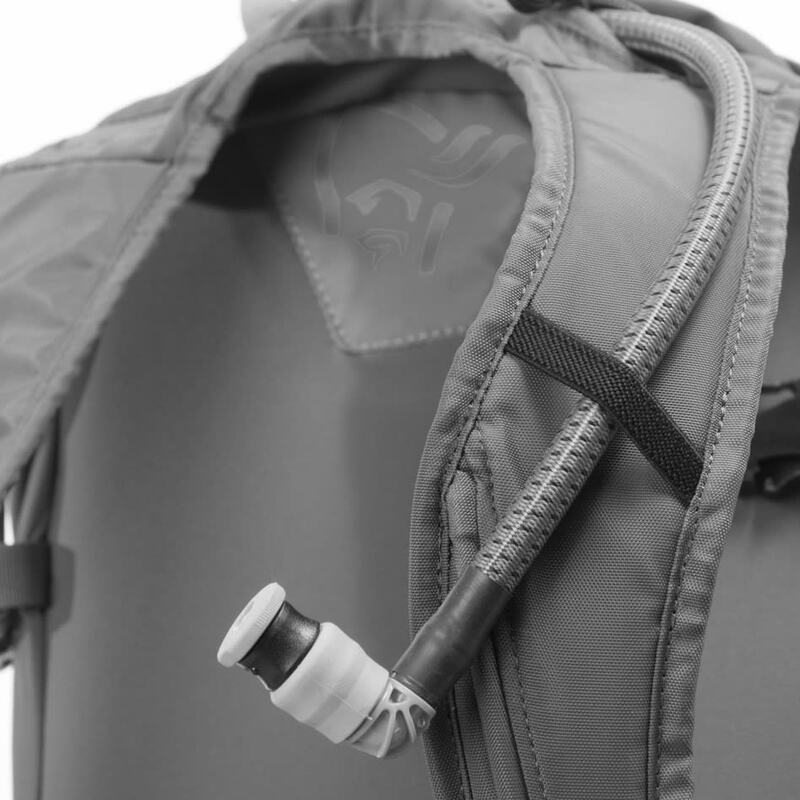 It has a side zipper with which you can access the main part of backpack and also a smaller zipper on the other side with which you access another pocket on the outer side. Also great features are big top pocket, lower part for ice axes and two main handles - one on the back and one in front to easily move the pack around. V shape of backpack works well regarding comfort carrying. The most weight I carried with it this far was 15kg, backpack can be easily set to comfortably carry such a weight without the bulk filling on the back. Backpack is quality made like expected from Norrona. Rated 5 out of 5 by SurreyStu from Great Pack This was my first Norrona purchase and is now my main pack. I've sized down over the years, the manufacturing and fabric are excellent. I like the 'alpine' no side pocket scheme. I use the side access method a lot and it works well. It is easy to adjust and fits my back well. I haven't used a rain cover and all good so far. The two 'grab handles are useful. Rated 4 out of 5 by Rom Che G from Very well made. Nice fit I have a bunch of backpack for MTB, trail-running, skiing, hiking etc that one is really well made, fits me well, nice blue color, has a lot of features. I see only the lack of belt pockets for small items. Rated 4 out of 5 by Anonymous from Good but not as in picture Hi I just bought a norrona backpack in Norway XXL and it has all the specifications. I bought it because it was on sale, but it doesn't have the zippers in the front as in this picture? Is there a reason for that. It is the norrona M 45 liter backpack. Thanks! Rated 5 out of 5 by mestor from Simple yet effective! I bought this backpack to hike across the alps and to use on multi-day ski touring trips. The bag is super confortable and slim so it does not restrict your arms even when climbing. The layout its super simple yet effective. I was caught under heavy rain in the mountains for ~2hr and the pack hold all the content dry I was amazed. I used for travel and it turns out to be really light and practical, love it! Can This Backpack hold skis? Jeg har mistet en bryststropp p&aring; sekken min, fikk den i julegave, s&aring; garantien er ikke ute. Hva gj&oslash;r jeg? koster det noe &aring; f&aring; reparert sekken? Ene bryststroppa er vekke, hva gj&oslash;r jeg? Can you please tell me the actual size in centimeters, depth, height and width? Hi, I had to stuff it out a bit with some pillows but the sizes are approximately - Depth 28cm, Height 65cm, width 38cm. There was nothing in the lid pocket, which is huge and there was still plenty of room to expand the height by extending the snow baffle/lid. Hope this helps. Are there any pictures of the functionalities of the pack? The pictures are stylish but not very informative. You should check out this youtube review of the pack. The features are very clear here. Hei. Er 1.69 h&oslash;y(lav) og usikker p&aring; om sekken blir for lang for min rygg? Har sett etter noe info ang sekk og rygglengder men finner ikke noe. Hilsen GT.